When considering the options of inbound versus outbound marketing, a Silicon Valley startup should look for strategies that facilitate lean and consistent growth. The tactics, time spent, and the costs of each option are drastically different and so are the outcomes. Deciding which strategies work best for your business is what this article will help you do. Any new startup seeking to attract venture capitalists, needs to maintain a healthy balance between inbound versus outbound marketing. Deciding to go all-in on direct mail, radio, billboards, or even television commercials might seem like a good way to spread the word, but the costs involved are not in everyone’s budget. The strategies below highlight the marketing efforts of three San Jose startups that used inbound versus outbound marketing strategies. The lines between inbound and outbound marketing blur when we discuss advertisements. The principles are the same, but a good way to think about it is: we are either providing value to build trust or pushing sales messages to convince the customer to buy. This article presents a case for both marketing options depending upon a variety of factors: budget, target audience, product type, etc. Let’s delve into the details and you can decide for yourself. If the answer is, “I can’t wait,” then skip ahead to the section on Outbound Marketing. Those two sections are the quickest way to sell your products and services, although the risks might be much higher. On the contrary, if you’re trying to create a brand of substance, a loyal following, and can afford to wait, then focus on this section. Inbound marketing means turning your brand into a magnet. What’s important is creating value by solving problems for an exact customer you’ve researched. In your research, you need to identify the pain points of the target audience. Then shape your brand around solving those pain points using content, email, and social media. Once the relationship is set and an audience solidifies, it’s time to be more aggressive with your sales initiative. In many cases, selling the products and services isn’t necessary, because the customer already knows about them and is waiting for the right time to buy. 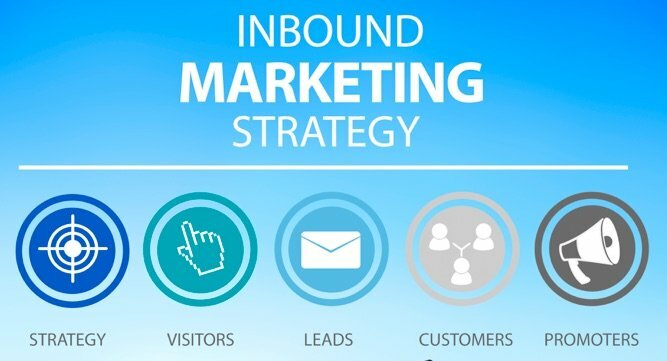 San Jose startups love inbound marketing techniques (described below) because they are significantly cheaper. (but beware if you’re using pay-per-click (PPC) ads or trying to reach influencers, as the costs can build quickly. What sometimes makes inbound marketing expensive is outsourcing, but it takes significant resources to execute an effective inbound marketing strategy. If you need help in many areas, you might want to look at an integrated marketing agency (like HiveMind Studios). If you only need a little help, you might try working freelances. Here are some great places to find good outsourced help: UpWork (Developers, Writers, Ad Managers), ProBlogger Job Board (Content Marketers), Twinsy (Virtual Assistants). If you Google all the pros of inbound versus outbound marketing, it will look like inbound marketing is the clear victor. There are many pros like the cheap costs, ease of learning, and the sheer amount of people on the internet. SEO takes a long time to reap the benefits. Content marketing takes a long time too. Virtual sales letters lack feedback and can “bomb” without any reasoning behind it. Email marketing is annoying and people’s inboxes are cluttered already. PPC is expensive and also somewhat annoying for the customer. Influencers are unpredictable and sometimes very expensive. Despite all those negative things, inbound marketing is a beast and all those negatives can be countered using proper tactics. Check out the HiveMind Blog for the best inbound marketing strategies. Search Engine Optimization (SEO) – SEO takes a lot of time and content to get to the top of Google Search Engine Results. Of course the reverse is also true. When you do put in the work, it takes everyone else a lot of time and effort to take you down. Content Marketing – High-quality content ensures the long-term success of your business by keeping your company fresh. If you create useful content, prospects will reward you by purchasing your products and services. Webinars – An easy way to get the attention of more clients is to create an online webinar that genuinely helps your customers. Email Marketing – Email is a great way to expand a lean business. If you offer something they need and add a good subject line, getting more meetings, more clients, and more money is easy. Pay-Per-Click (PPC) Advertisements — If you know how your target market responds to ads, try all the various types of PPC ads available on Google and social media. The targeting platforms are very sophisticated and provide a way to get right in front of your ideal client base. The better your copy, videos, and images are the better your ads will do. Social Media – Creating an online brand isn’t complete without being social on every major social media platform. It’s hard work to create native content every day, but with automation tools like Buffer, you can plan out your social posts months in advance. Social media is all about consistency and brand authenticity. Influencer Marketing – Instagram and YouTube made influencer marketing a legitimate business. It used to be reserved for movie stars and professional athletes, but today, smaller brands can have a daily spokesperson that represents your brand. Any time you hear the term outbound marketing, think traditional. Another way to distinguish inbound versus outbound marketing is slow and less expensive versus fast and more expensive, but this is not always the case. Obviously, traditional media like billboards, radio ads, and cable television are more expensive than creating and promoting a YouTube channel. For some businesses, television is the perfect place to be. It all depends on the target market. Consider a restaurant like Dominos or Taco Bell. You might get a craving for something to eat when you’re on Facebook. That doesn’t mean it’s the best place to put an ad for pizza. It might work here and there, but guessing is expensive. Instead, placing that ad on television during a football game is a far better place if you have a similar budget to Papa Johns or Taco Bell. What do you do if you don’t have a large budget, but still need to market to your audience in a similar way? Try an inbound strategy like YouTube ads or PPC ads for live-streaming sporting events. YouTube and other streaming services provide ways to market to your audience when they are likely to buy your product without breaking the bank. I’m sure you can see one of the cons of outbound marketing strategies is the cost. However, one of the pros is the short-term profits you can make. Even a good video ad on YouTube can turn a lackluster bottom-line into a new benchmark. This is why I asked “how long can you wait to get paying clients?” at the beginning of the article. Many businesses are just one good ad away from going from 6 to 7 figures almost overnight. Another issue with outbound marketing is your ads might completely miss their targets. Make sure your research is sound before committing to an ad. The best “ad men” always go above and beyond when they create an ad or a sales letter. Some of them even go as far as testing its persuasiveness and taking it door-to-door. You probably won’t have to go that far, but keep it in your back-pocket if things aren’t going so well. Television and Radio Commercials – Everyone wants to make a commercial that can stick around for years, but not every company can afford it. With the emergence of video streaming services like YouTube, Hulu, and Spotify, how many people are even watching television? If your target audience is of a younger demographic, you should focus your marketing efforts where they tend to matriculate. Telemarketing – Despite the negative stigma of telemarketing, it works! I’ve had the pleasure of working with many telemarketing agencies, and I can tell you it’s not for everyone. However, it will get you clients with brute force. It’s the ultimate push technique if you are persistent and provide your cold-callers good leads and an air-tight script. Direct Mail – I get a ton of mailers from local businesses in my mailbox. I sort my mail over the wastebasket, but every once in a while one of the promotions catches my eye. If you check the prices at your local post office, they offer pretty good deals. Consider it if you’re looking for local clients. 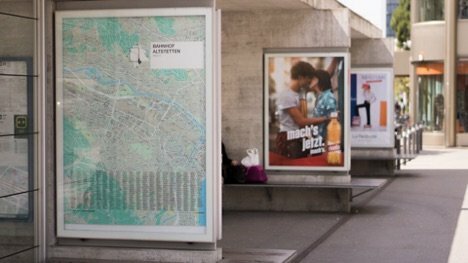 Print Ads – This is very effective with vertical markets, if you can find publications that serve your exact audience. Media costs are lower and therefore ROI is higher. Print ads in consumer publications are more expensive, but you can often restrict the area you are reaching. Very important here is that the ad creative must be fresh and engaging. Brochures – After you’ve spoken to a potential client, you might try sending them a brochure to follow up. Combine that with a sales letter and profits may start rolling within a matter of weeks. Researching companies that take the inbound versus outbound marketing argument seriously is a passion of mine. San Jose, San Francisco, and other Silicon Valley companies seem to be hotbeds for creating new products and adaptations of traditional marketing principles. Below are a few examples of companies that employed a consistent and simple inbound marketing strategy to bring their company from the garage to the skyscraper. If you see something in their strategy you feel can help you grow your business, by all means, try it. These strategies are cost-effective even after buying into an email marketing campaign manager like MailChimp or a social media automation tool like Buffer. Keep in mind, I don’t get paid to promote these tools. They are just some of my favorites and good examples of companies that are forward thinking when it comes to inbound versus outbound marketing styles. Mint is a new take on money management, just outside of the San Jose area that built an empire using content marketing and email. They didn’t have a massive budget for ads or a call center. They relied on preselling their brand with content marketing and collecting emails. Mint sells the idea that being able to manage your money shouldn’t be that complicated. In essence, they solve a problem for a huge audience. By creating a basic website and collecting one-million emails, a year prior, they had all the customers they would need when they finally launched their mobile app and portal. Dropbox is a San Francisco startup, that used social media in an ingenious way to distribute their file sharing app. They offered a basic version of their app for free and gave each user the ability to increase their amount of storage space by sharing the app on social media and getting someone to sign up. Everyone needs access to more file storage, especially with the restrictions of email. They solved a problem and followed with plans for more storage for businesses. The idea is to teach people how to use Dropbox in their daily lives and then add them to their businesses because it’s so convenient. Does this sound familiar? It should because Apple did something similar by giving their computers to schools. Now everyone uses Apple. Zoom is a free video-conferencing platform from San Jose. If your business uses video-conferencing, zoom might be the platform you’re looking for. Like many startups, Zoom offers a free option to entice you to try their platform. However, Zoom allow you to use their platform as much as you want. If you want more bells and whistles, you have to pay, but their main product is free. Many companies fear to give their products away for free. This is not for the faint of heart, but giving away your product for free is not a bad strategy in the beginning. There are plenty of ways to generate revenue, from a free product such as offering paid add-ons, selling ads on the website, and offering consulting services. Whatever you choose to do, keep an open mind and look for other companies that have already made it to where you want to go. Often times, there is a track you can follow to find success. There is no need to focus all your effort and budget on one strategy or the other. Inbound versus outbound marketing doesn’t need to be a hard debate for many companies. If you’re an established brand and have the budget to make an investment in direct mail, radio spots, TV ads, and call-centers, go right ahead with outbound marketing. It’s a fantastic way to find out right away if your products are viable. For lean startups, choosing between inbound and outbound marketing is usually easy. If you’re still on the fence about your strategy, try checking out some of these blogs to help you in your journey: Rebranding Costs and Strategy and SEO Strategy Simplified: The Things Every Business Owner Needs to Know.